Move over, the big fat Indian wedding. The big fat, Indian cruise is here, filling our screens, taking over our lifestyles, imbuing an unmistakably desi edge to an activity which was once the domain of Hollywood movies. Remember the Titanic? With Dil Dhadakne Do, the Indian family has never looked as happily unhappy, or charmingly disarming, so to speak. The ensemble cast makes the activity of holidaying on cruise liners the best Bollywood holiday activity invented since gambolling among Amsterdama��s tulips or on snow-clad Swiss mountains. So much so that social media pundits are already proclaiming that the movie will do for cruise ships what Zoya Akhtara��s earlier film, Zindagi Na Milegi Dobara did for Spanish road trips a�� get everybody on board and set the cash registers a-jingle. I spoke with Abhijit Gupta, the young director of holiday portal TravelBazaar.com, and he felt that a surge in holiday cruise bookings is very possible, given how deeply Indian audiences are influenced by our movies. 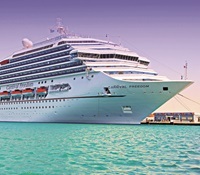 a�?A cruise sounds and looks cool, so travellers would want to explore the whole cruise holiday experience,a�? he said. 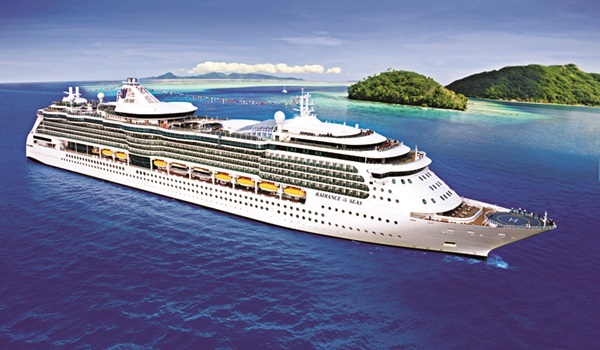 Two and three-day cruises on large liners to the Far East a�� Langkawi, Kuala Lumpur, Penang etc., with stopovers for a night would be typical starting points for those new to it. Though cruises arena��t new a�� ita��s possible that a a�?coola�� new Bollywood movie filled with beautiful people would generate fresh interest in the experience. a�?Ita��s not like people hadna��t visited Spain before Zindagi Na Milegi Dobara but the movie made it all much more fun, super-cool, complete with road trips through the Spanish countryside and festivals like La Tomatina,a�? says Gupta. For newbies with concerns, hea��s quick to dispel some myths, a�?People assume ita��s like a boat on the water, but the large cruises are more like being in a floating giant building or a huge city on the water a�� complete with casinos, restaurants, spas, gyms and multiple activities to keep kids busy.a�? As for family dogs like Pluto being allowed on board, hea��s not quite so sure. a�?Never had a request thus far,a�? he says. Writer and producer of comedy shows Ajit Saldanha has been on several cruises and says while they arena��t for those looking for unique, curated experiences a�� a a�?sense of placea��, they do have their positives. a�?Therea��s something on board for everyone, irrespective of age and interest, and great for family bonding.a�? On the Nile river cruise he was on once, there was plenty happening culturally, good food, evening entertainment in a luxurious setting and the chance to make friends with co-passengers. a�?This allows you to take things at your own pace a�� kick back and enjoy the fundamental purpose of a holiday a�� relaxation,a�? he says. On his wish list? A bridge cruise, tailor-made for competitive bridge players like himself, the kind organized by world bridge champ Fulvio Fantoni. Meanwhile, hea��s quite happy to enjoy the fun kind of holiday cruises: a�?You know the kind: my heart will go ona�� but with a happy ending,a�? he tells us.